Here's another picture of Our King Sway (did they name him that before or after?) from Racing and Sports that shows him running in a race. Here's a picture of Major Angel from the other side. It doesn't look as bad in this photo. Still noticeable though. Maybe the first one was a weird angle? I guess we may just be used to seeing the carefully posed photos of highly manicured yearlings and such at the sales, ha. Also, I looked at her registration wrong. She was actually born in 2015, although this picture is probably from when she was a yearling and they just haven't updated it yet. She has run 7 times with 1 win. I must say I am impressed with the KRA's stud book so far. Lots of information available. And it's free. Our King Sway was born with it and had his first race as a 4yo then won his first race at his second start. Jockeys say he is a very uncomfortable ride but he is apparently as sound as a bell. Sway Away was another swayback. Along with the sway back, Major Angel also looks a bit long-backed and short-legged. But her coat is purdy. 13 people apparently (that's how many kids he has listed on PQ). His career as a racehorse has barely begun, yet according to his trainer people are already lining up for a chance to use Southern Phantom as a stud. 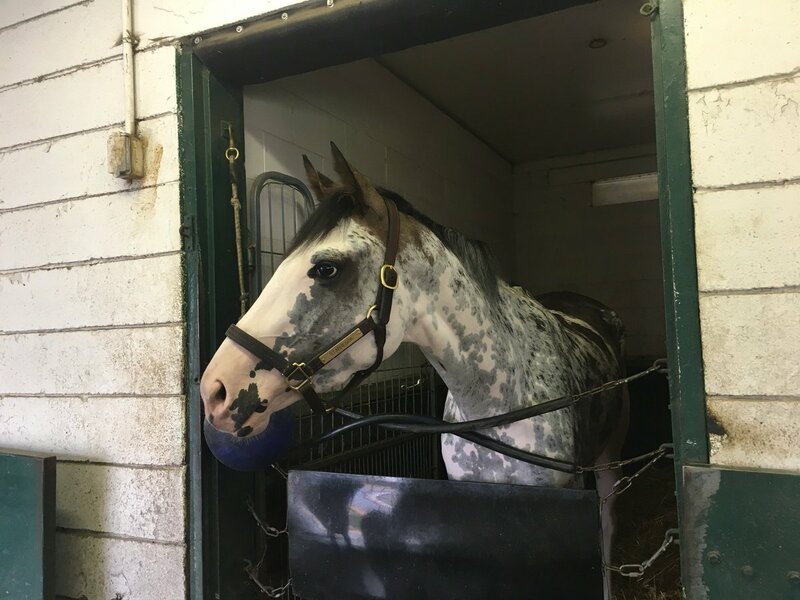 The two-year-old colt hasn't even won any of the three races he's run, but he's already got the popularity of a horse that's won a triple crown -- and it's all because of his unique look. The social media star boasts a unique coat -- a bay-colored body with a face that looks like it's been dipped in a bucket of white paint. Southern Phantom also has mismatched blue and brown eyes, a balayage tail that feathers out to blonde and white knee-high socks. 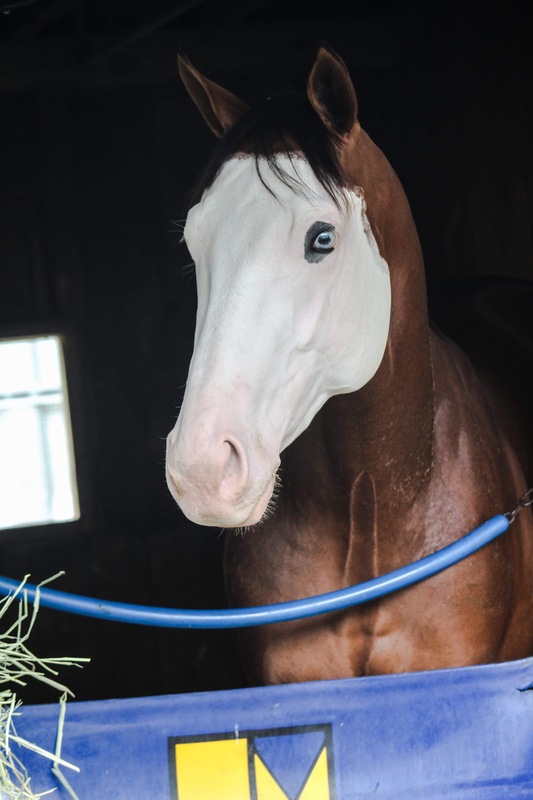 "Most beautiful and unusual (horse) I have ever seen," fans write on the colt's Facebook page. "I have never seen a thoroughbred with these markings," another writes. "Absolute highlight of my visit to Saratoga (Race Course) this year." The horse becomes the talk of the racecourse whenever he makes an appearance. "He gets his picture taken daily. I'm kind of getting a little upset with it because I'm used to the camera's being on me," Southern Phantom's colorful trainer, Eric Guillot tells CNN Sport. Not a thoroughbred, but his grandpappy was one and he raced nonetheless. Saw a report that he was even a champion. I'm smitten. This foal pic has been doing the rounds on social media. If its real I can't find its origin, not SH born and possibly not a TB but it is too good not to post! I saw it because Carrie Brogden retweeted it from the Ascot account who retweeted it I think from @bakes47516205. Have you ever seen markings on a horse like this!? 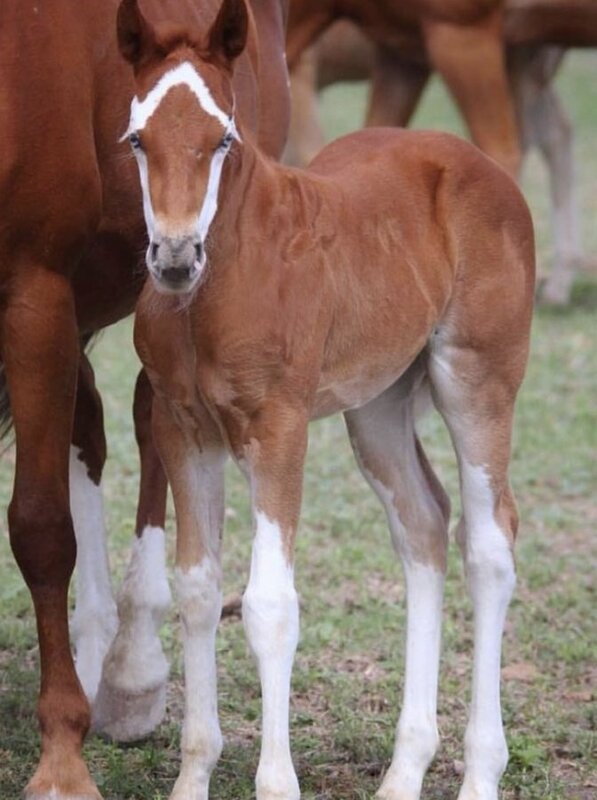 What name would you give to this foal? Here's some pictures of Silvery Moon in the show ring for Marbuch State Stud, Germany. A successful racehorse and a good sportshorse who just happens to be a pinto. American ~color~ breeders need to take note. It's called badger face, basically the reverse of a blaze with the dark/white reversed. They kept Silvery Moon entire, yes? Yes. Here's a link to the website. He's under the "Warmblood" (german "Warmblut") section. You'll have to google translate the page. 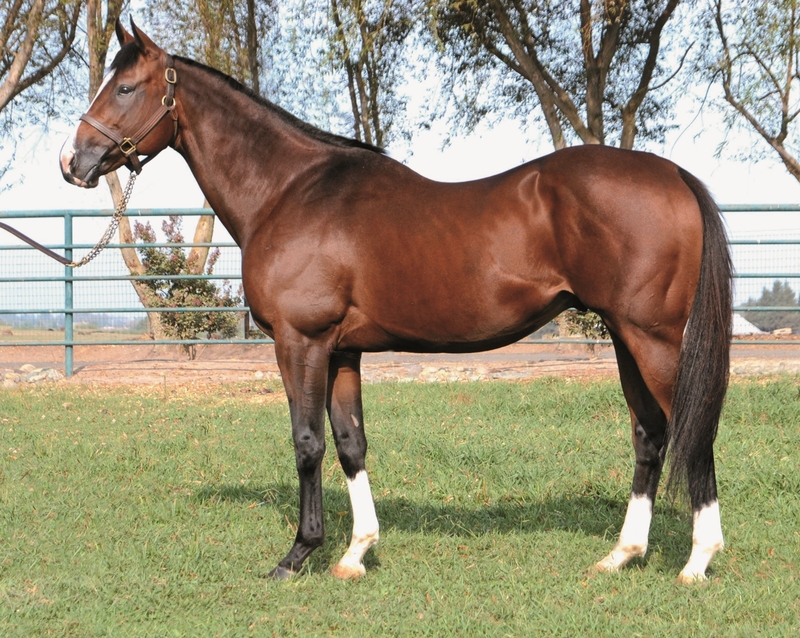 Marbach is the oldest stud in Germany according to the internet, so Moon is in good hands. Side note, I wonder what happened to Silvery Moon's full brother Modern Society. He's be 3 this year I think.